Group lock-out box wall-mounted and/or portable. 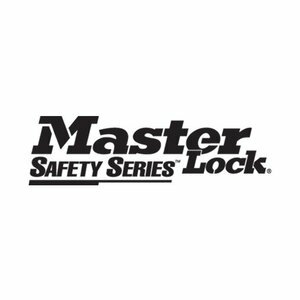 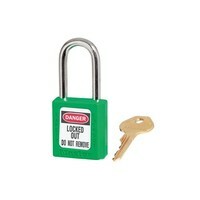 Secure each lock-out point on one or more large items of equipment using your personal lock-out padlock. Having locked the equipment, secure your keys in the lock-out box. 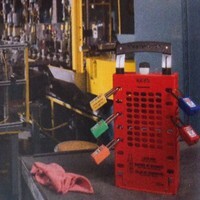 Each person working on the equipment attaches his personal padlock to the box for the duration of the operation and only removes it once the work is complete. The exclusive Latch Tight™ mechanism ensures that no-one can access the keys inside the box until every member of the group has removed his padlock. 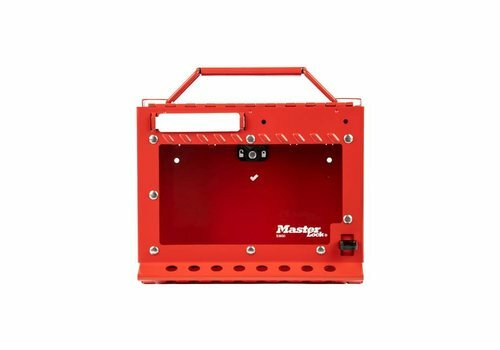 Ideal for shift work with staggered hours or for subcontracted operations. 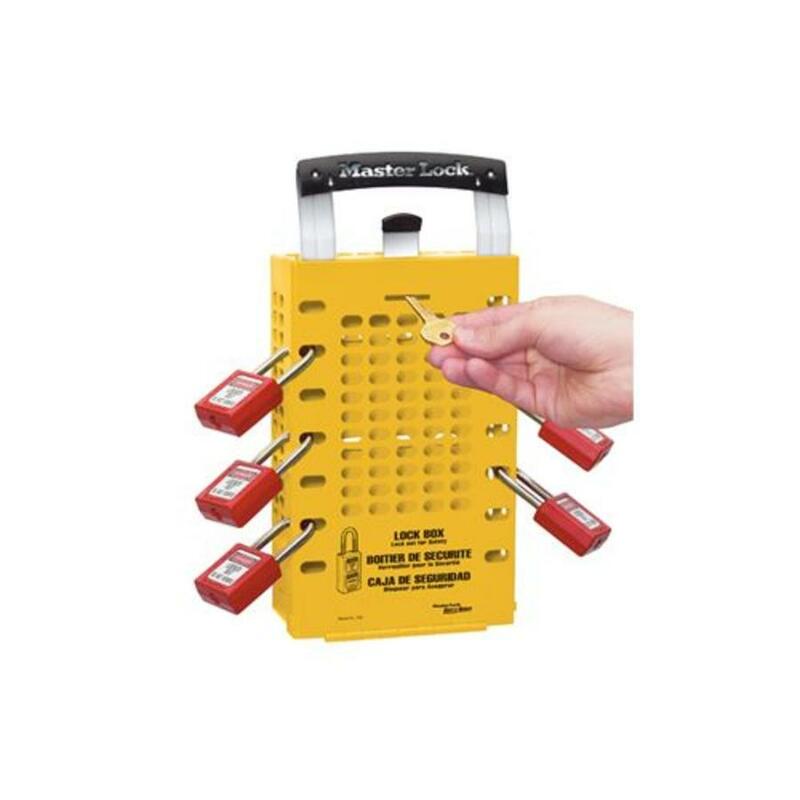 Reduces the number of padlocks required for lock-out. 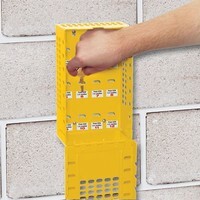 Double application: wall-mounted or portable. 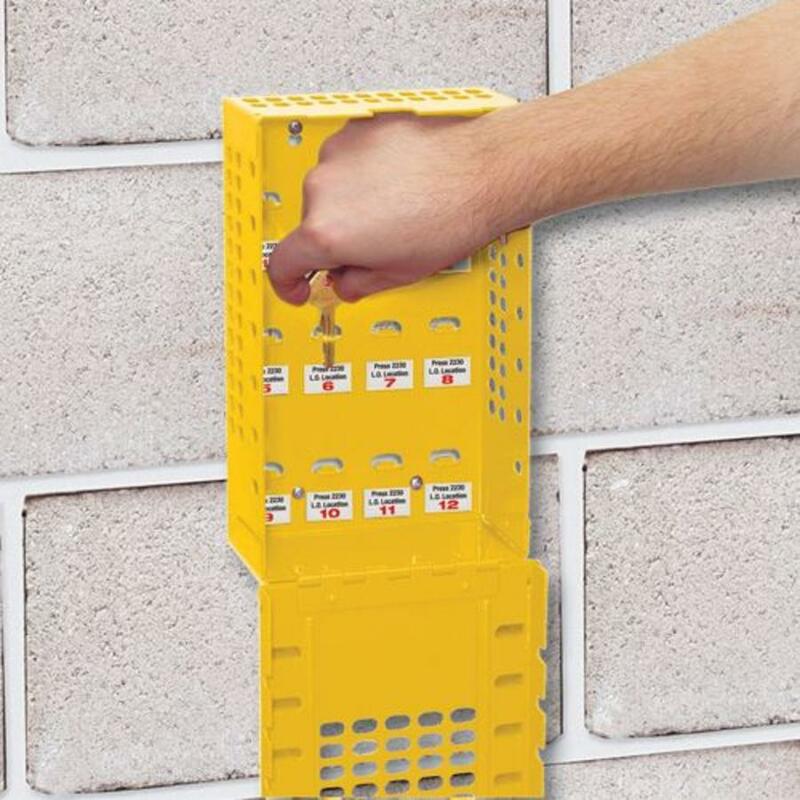 Permit to work display c/w carrying handle. 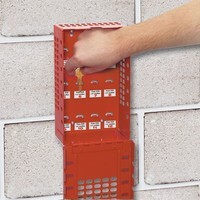 Wall mountable group lockout box with removable lock caddy. 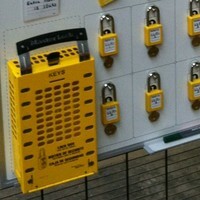 Permit to work station, includes permit display case and group lock box (wall mountable). 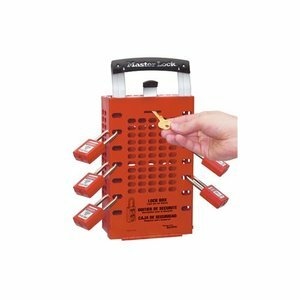 Group lock box with 18 numbered padlock holes and display window. 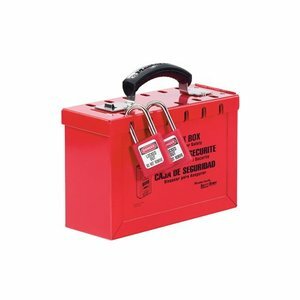 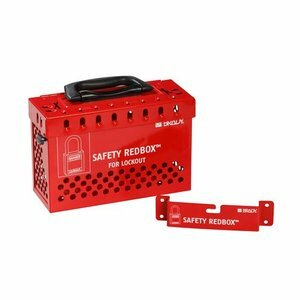 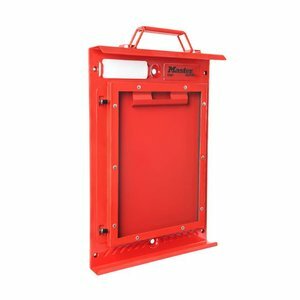 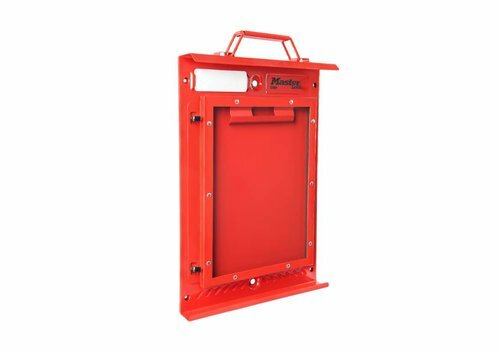 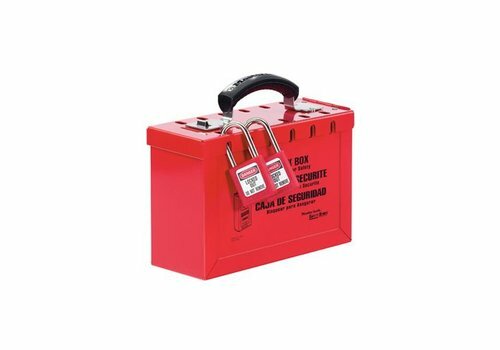 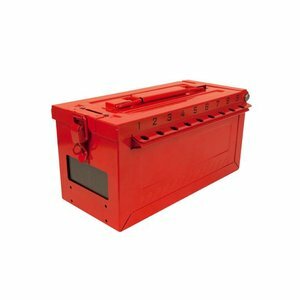 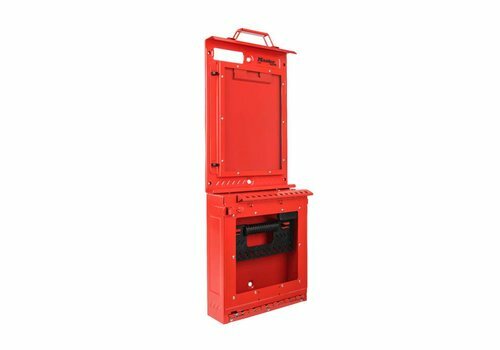 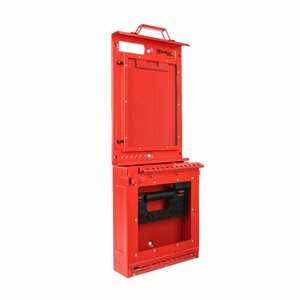 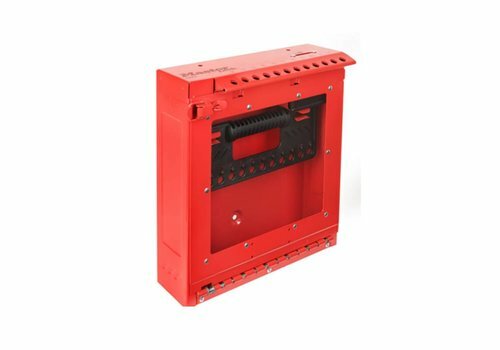 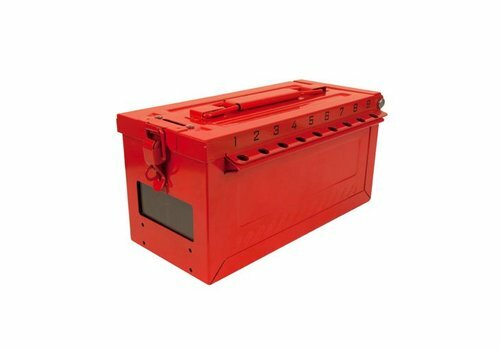 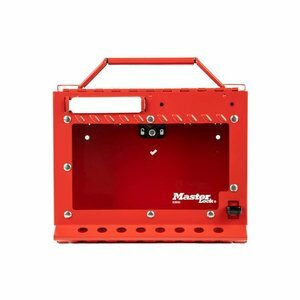 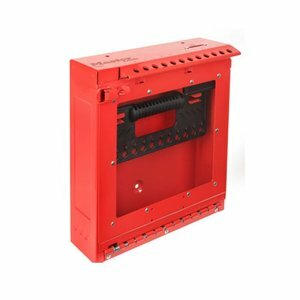 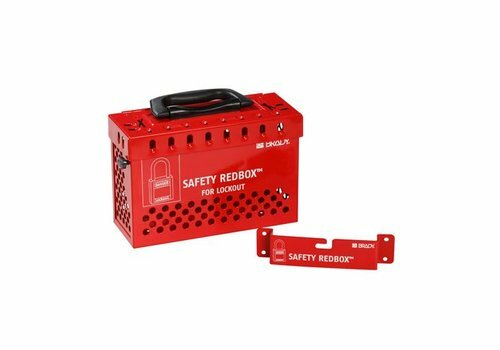 Safety red box wall mountable Group lock box with quick-release. 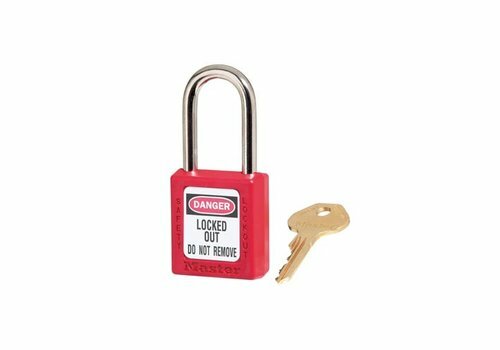 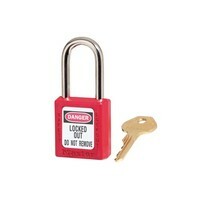 Zenex composite safety padlock red with a (6mm) hardened steel shackle and key retaining function. 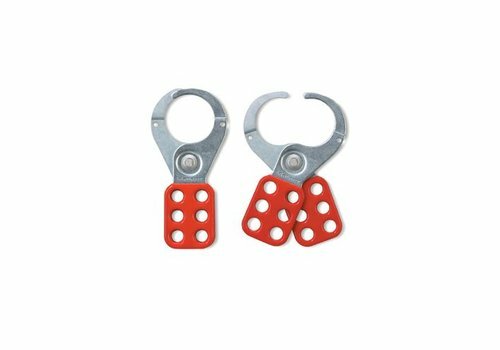 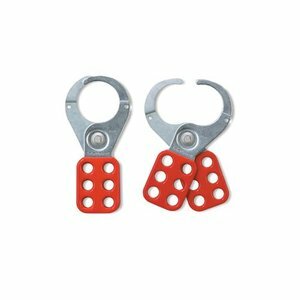 Lockout hasp steel with vinyl-coated handle.